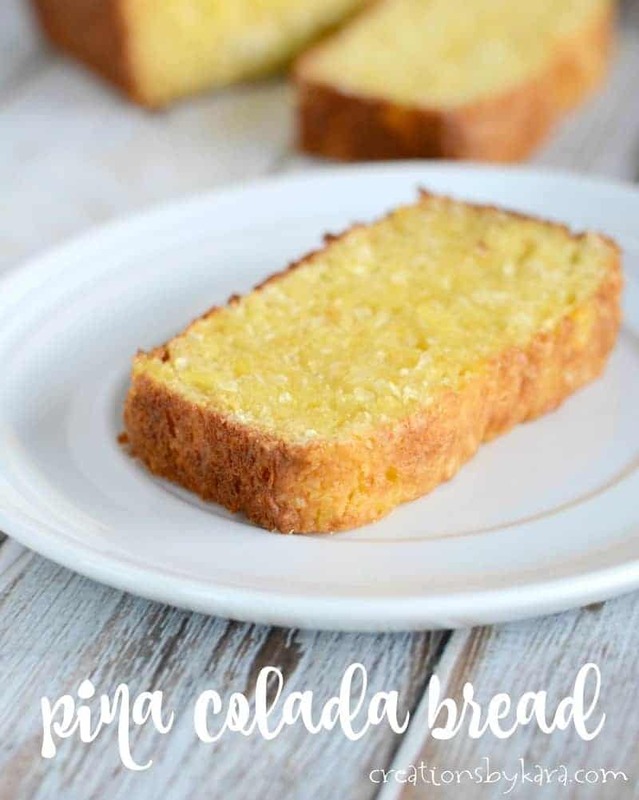 Pina Colada Hawaiian Bread – loaded with juicy pineapple and chewy coconut, this easy quick bread is a scrumptious tropical treat! This Hawaiian bread is a favorite from my childhood. My mom made it all the time, and me and my five siblings would gobble it up as soon as it came out of the oven. So yummy! I have not made this recipe in years, but I found the recipe card in one of my cookbooks and just had to whip up a batch. When I was little, my favorite way to enjoy it was toasted with some butter. I tried it that way this time, and it was a little trip down memory lane. A very tasty trip. And since there is no added fat in the bread, you don’t have to feel so guilty when you slather in butter. Yay! We have moved into a new house and I am not used to the oven yet, so I did overcook this batch. It is not usually this brown. It was still tasty, but not as moist as it always it. So make sure you don’t cook yours too long! This recipe makes three medium sized loaves, so you can share some with a friend, or wrap them up tightly and freeze them for another day. 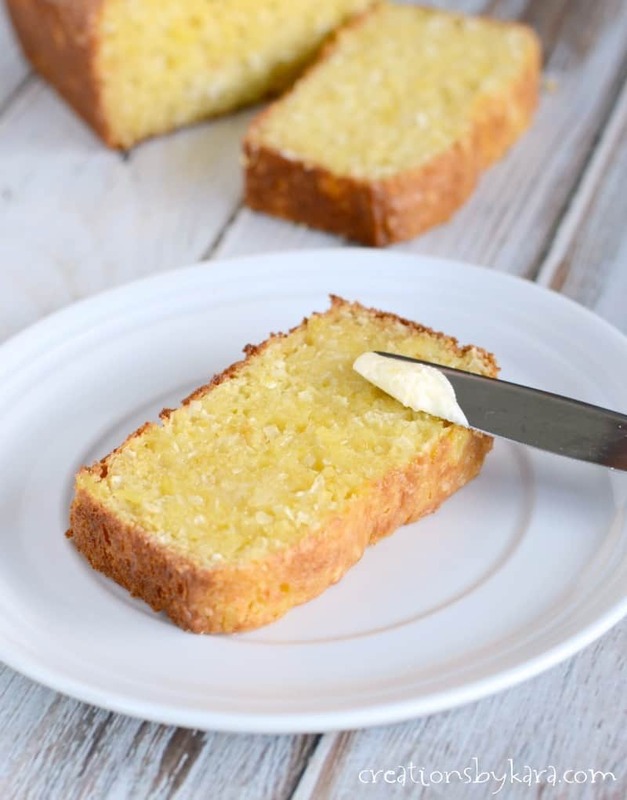 Tropical quick bread with pineapple and coconut. Whisk together pineapple (with juice), coconut, eggs, and sugar till well combined. Stir in flour, soda, and salt. Bake at 325° for 40-45 minutes, or until a toothpick inserted in the center comes out clean. There is no typo, this recipe has no added fat. The oil in the coconut and the pineapple keep it nice and moist. If you love the tropical flavor of pina coladas, you are in for a treat! 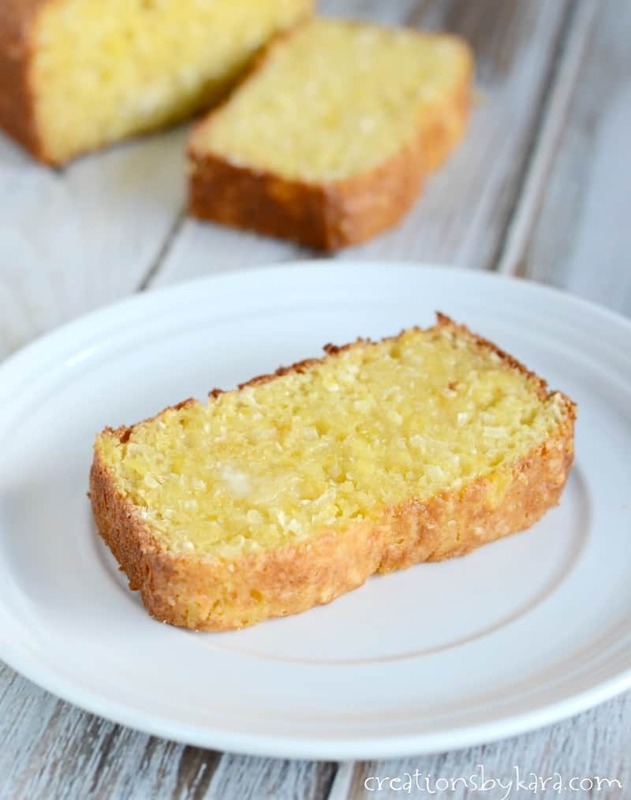 In honor of Pina Colada Day, I am teaming up with the celebrating food bloggers to bring you over a dozen absolutely fantastic recipes featuring pineapple and coconut. Enjoy! I was really excited to make this bread tonight, but for some reason I can’t get your recipes to pull up (I checked this one, plus several others). 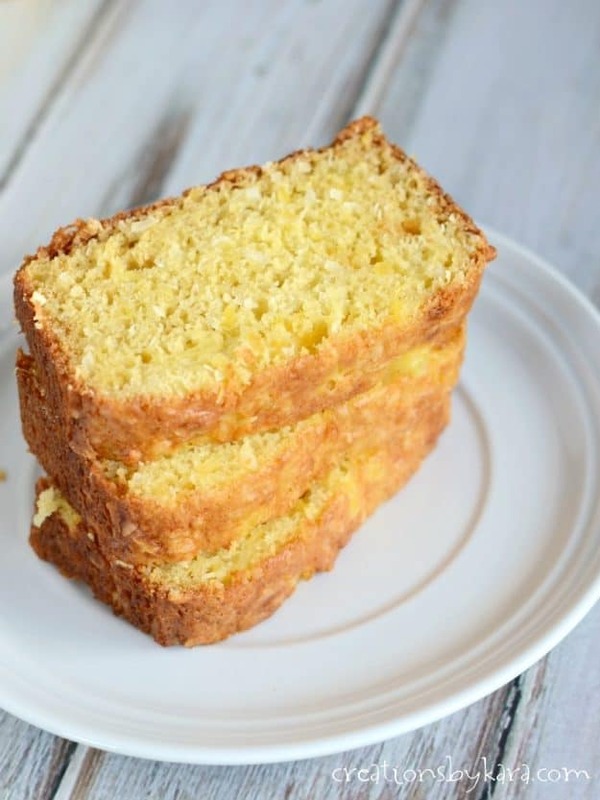 Is there something I can do to get the recipe another way? It looked delicious and I was super excited for it! 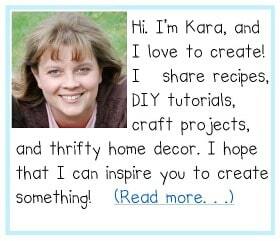 Unfortunately my site had a glitch last night that caused all my recipe cards to disappear. 🙁 They are all working again, so you should be able to see the recipe now. Sorry about that! Do you think this would work using a combination of unsweetened and sweetened coconut to cut back on the sugar? 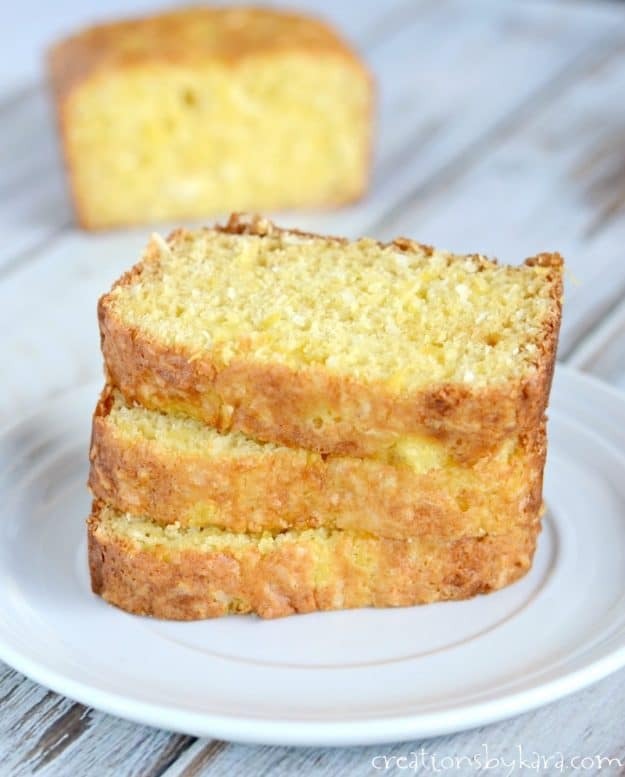 This recipe looks soo delicious! It looks great. I’m definitely going to try it this weekend, I bet I’ll love it! Thanks Sean! Hope you enjoy it as much as we do! This looks so yummy! I love recreating recipes from my childhood, too! I really should do it more often so my kids can enjoy some of the same things I did!